﻿ Montagu Vines Guesthouse Montagu. JIMAT di Agoda.com! Ada soalan mengenai Montagu Vines Guesthouse? Dengan lokasi mudah di Montagu, Montagu Vines Guest House adalah tempat yang hebat untuk menjelajahi bandar yang menarik ini. Dengan lokasi hanya 1 Km dari pusat bandar dan 182 Km dari lapangan terbang, hotel 4-bintang ini menarik banyak pelancong pada setiap tahun. Juga terletak berdekatan adalah St Mildred's Chapelry, IBIS Gallery, Hick's Art Gallery. Montagu Vines Guest House juga menawarkan banyak kemudahan untuk memperkayakan penginapan anda di Montagu. Pilihan kemudahan kelas atasan seperti Wi-Fi percuma semua bilik, pengemasan harian, pendiang api, Wi-Fi di tempat awam, tempat letak kereta boleh dinikmati di hotel. Montagu Vines Guest House mengandungi 8 bilik yang dihias indah dan menawarkan televisyen skrin rata, kolam renang peribadi, internet wayarles (percuma), bilik larangan merokok, penyaman udara. Hotel ini menawarkan pelbagai kemudahan rekreasi yang sangat baik, termasuk denai kembara, padang golf (dalam jarak 3 km) , kolam renang terbuka, taman. Nikmati perkhidmatan yang sukar ditandingi dan lokasi benar-benar berprestij di Montagu Vines Guest House. A quiet tranquil spot on the outskirts of Montagu. Very warm welcome and a lot of thought from the hosts has gone into making sure that guest enjoy their stay. Excellent breakfast and very pleasant staff. Wonderful experience. Wouldn’t hesitate in recommending and staying here again if it was possible! This was our second visit and confirmed our original thoughts, namely, a well run, beautiful Guest House, with pleasant, generous accommodation .the hosts Ant and Pam are professional in the best sense of the word. One of the best we have seen on our travels around SA. Wish they did supper, as Montagu is weak in decent restaurants.! 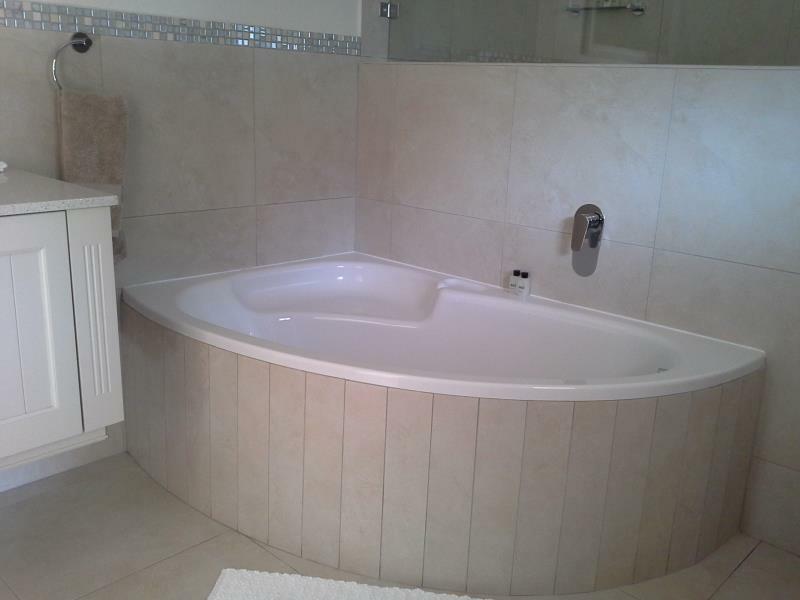 Montagu Vines is a superb guest house. 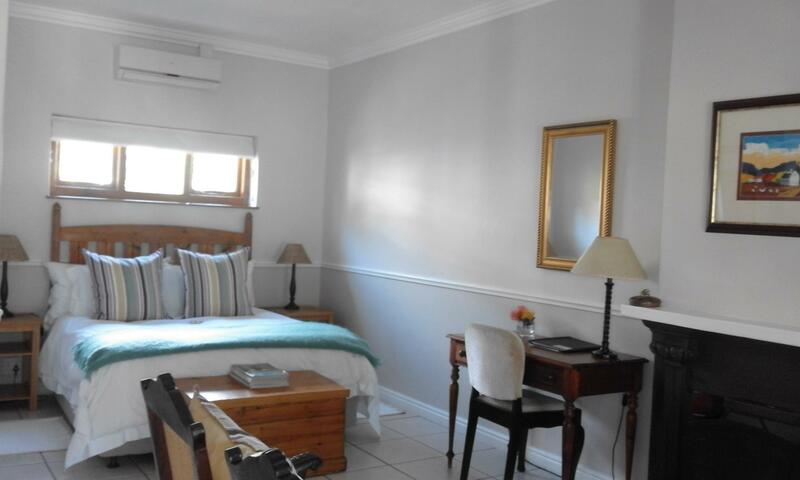 Spotlessly clean, beautifully furnished , a VERY comfortable bed, stunning gardens , excellent breakfast , secure parking and an easy walk into Montagu where there are some very good restaurants. We could not have been happier with our choice of accommodation...and I am very hard to please ! Thank you Ant and Pam for being perfect hosts. A beautiful property in a stunning setting . A warm welcome from Pam and Anthony and a lovely, spacious and comfortable bedroom. Close to the centre of Montagu but with a feeling of being in the middle of the countryside this is a place to relax and enjoy Breakfast was great with plenty to choose from. No hesitation in saying we would love to return! Amazing garden with a comfortable rooms. Great place to relax and read a book in the green surrounding you. Nearby the nature. If you want to stay anywhere close to Montague then this is the place! Pam and Ant have produced a wonderful oasis for tired travelers. Their location at the start (or end !) of the famous R62 Route makes it ideal. The grounds of 'M.V.' are extensive, embodying large lawns, a olive grove and two water filled dams, which attract many different birds (saw a Malachite Kingfisher, a Woods Kingfisher but alas missed the two Eagle Owls that often roost in the huge Oak tree). 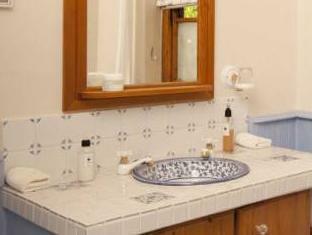 Accommodation is very comfortable and private with all of the facilities needed. Any additionals are quickly provided by Pam whilst Ant provides a welcoming glass of wine! Breakfast is very pleasant with the long patio doors open onto the garden. Many thanks to Francis and the other staff for wonderful range of foods. We will certainly return knowing that we will in no way be disappointed. We received such a warm welcome that we felt right at home - thank you again Francis!! We rooms were big, equipt whith everything one might need, the bathrooms are georgious, the garden is beautiful, service was top level, breakfast was great, restaurants are just an easy stroll away - can recommend it 100% and would return any time! Wonderful place. Puts 5* HOTELS TO SHAME. Owners Anthony and Pam were so welcoming. Stayed 2 nights in lovely room overlooking garden. Very peaceful.Fantastic breakfasts. Owners very 'hands on' and so friendly and helpful. Complimentary glass of wine on arrival or when requested which was a nice touch.Small plunge pool but enough to refresh from heat Very close to town centre - safe to walk. Try 'Mystic Tin' restaurant for great ostrich fillet. Would def recommend. Thank you for a lovely stay. Nothing to complain about. We just stayed one night before getting back to Capetown. Our stay at Montagu Vine Guest House was wonderful. Large, clean rooms, comfortable bed and lovely view! Would def recommend to anyone! We had a relaxing, romantic stay! Thank you Ursula for the delicious breakfast and your hospitality! If you are looking for a place to stay along the N62, stop searching. This is it. Richard and Claire would be the most fantastic host one could find. The property is just like heaven. Homemade breakfast can easily beat those of 5-star hotel. Accoglienza gentilissima,camere comode ed arredate con molto gusto,distribuite in due costruzioni basse adiacenti,decisamente con un passo in più rispetto ai tanti B&B della zona. Decisamente una bellissima sorpresa,questa splendida dimora gestita con amore ed intelligenza dalla simpatica coppia di proprietari.La mia camera,per esempio,oltre ad una completa attrezzatura aveva sul pavimento un autentico Nain persiano.Calice di vino della zona offertaci all'arrivo,ristorante Jessica consigliatoci da loro,ad altissimo livello e spesa contenuta. Giardino ampio,bello,ottimo per scrutare il bellissimo cielo sudafricano nell'oscurità. Ik kan dit resort bij iedereen aanbevelen. Prachtig gelegen op een paar minuten afstand van Montagu, wat een leuk plaatsje is met veel oude Hollands aandoende huizen. ‘s Avonds is het er wel stil. Fijne restaurants op ( veilige) loopafstand. Je kunt er in de omgeving ook heerlijk wandelen. Kortom: een echte aanrader. Geweldig, zelfs toen 2 uur de stroom uitviel en bij onweer!